A weak German growth figure, which showed GDP shrinking at twice the rate that analysts had forecast, shows that Europe is some way from recovery and is unable to absorb any geopolitical concerns. Given this, the euro is continuing to struggle, with the EUR/USD pair heading towards a one-year low of $1.30. The market bears still have a stronghold on the euro, dragging EUR/USD down to its lowest level since November. With all the geopolitical risk in Europe, investors are still turned off by the single European currency. There is also some speculation that additional ECB stimulus may be on the cards for Europe if growth continues to be stagnant and inflation slows further. Yesterday's figures did not provide great news for anyone within the Eurozone. The European economy seems to be pretty far from its recovery target, with poor investor confidence in Germany following the recent news that Italy has re-entered recession. All eyes will be on Mario Draghi and the ECB to find a solution. For now though, the EUR/USD pair maintained its downward trend to trade around the $1.336 mark. 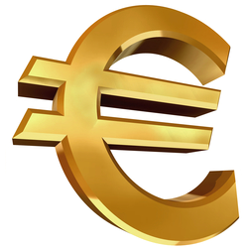 The euro continued to weaken against the dollar as tensions seemed to ease between Russian and Ukraine. Coupled with news of US air strikes in Iraq, the dollar is looking increasingly strong, also dragging the Japanese yen back from an almost 3 week high. The dollar has managed to hold onto its gains from last week as traders look for more economic data to fuel the bulls. Given that US retail sales are expected to have grown for a sixth consecutive month, and that tensions are subsiding between Ukraine and Russia, the dollar is looking pretty strong. For now though, the EUR/USD pair is trading fairly flat around the $1.34 level.